Shoppers: This model ski is available without bindings; Please call or email us for information. 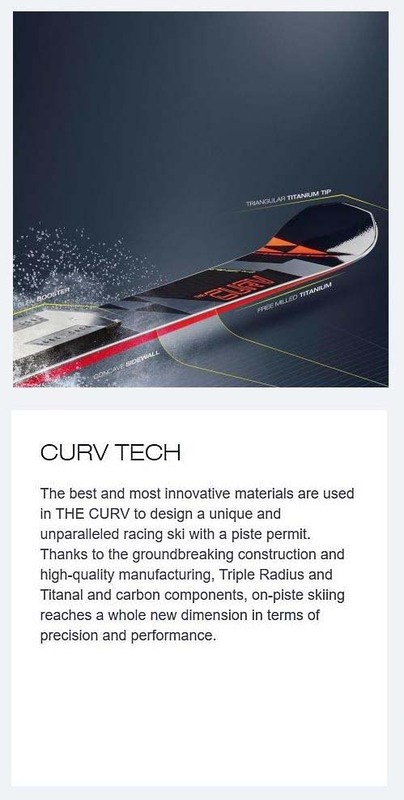 RC4 The Curv, A racing ski with a piste permit perfectly suited for the high-end for purist. The superior Triple Radius technology gives you awesome turn dynamics without limits. The Curv Booster plate and the DIAGOTEX™ laminate provide ultimate torsional stiffness. Also features highly stable Titanal shell and original World Cup base. The race machine for experts wanting pure adrenaline for uncompromising skiers looking for a ski made from the best materials. 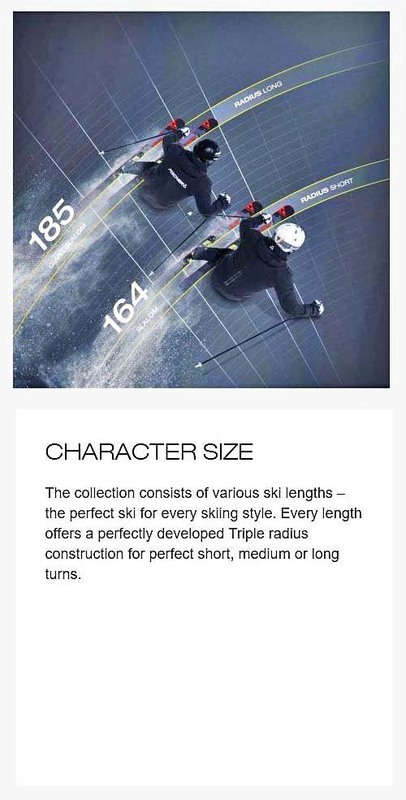 Absolute performance developed by skiing legends Hans Knauss, Mike von Grüningen and Kristian Ghedina. The World Cup two-section Curv Booster plate makes cornering extremely quick and ensures optimum power transfer. This makes every turn simply breathtaking. 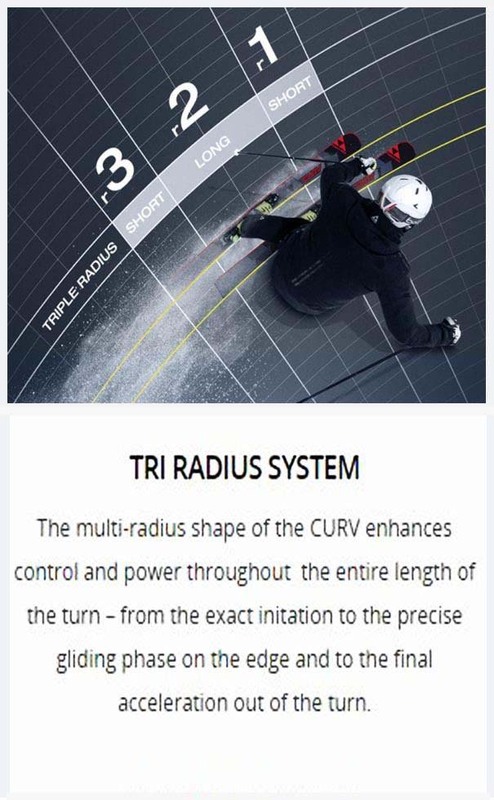 The Triple Radius shape of THE CURV enables better control and power transfer throughout the entire turn – starting with exact turn initiation and the precise gliding phase on the edge up to the final acceleration at the end of the turn. DIAGOTEX™ is an innovative diagonal carbon grid for the best torsional stability. DIAGOTEX™ helps you to counteract centrifugal forces in high-speed turns so you stay perfectly on track. For maximum power and stability in turns. Air Carbon TI 0.8: Wood Core with double Titanal shell, reinforced with Air Carbon. Perfect edge grip and extremely smooth running as a result. World Cup Tuning: Edges and base are given an extremely precise World Cup level finish on the most modern grinding line in the world. Curv Booster: The two-section plate makes cornering extremely quick and ensures optimum power transfer. Shoppers: The Z17 Freeflex Bindings are shipped to you in the in factory box. Only assembly (no drilling) is needed to complete the installation of this model binding onto these skis.